During the 18th century, wax seals were frequently used in the Lowcountry to close, mark, and authenticate important documents such as legal records. In practice, a small portion of melted sealing wax, formed from beeswax or a combination of resin, shellac, plaster, turpentine and coloring agents was placed on a document and then pressed with a seal matrix to create a seal. (Fig. 1) Typically, the seal matrix was personalized and embossed with the user’s initials, coat of arms or motto. Figure 1. 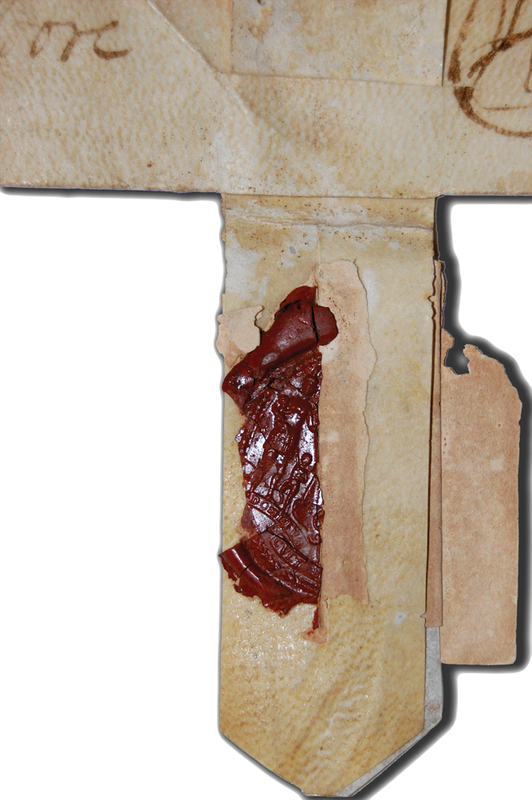 A fragment of a wax seal. Figure 2. Three fob seals measuring approximately 2.5" x1"
intaglio gem or engraved silver or copper disc. 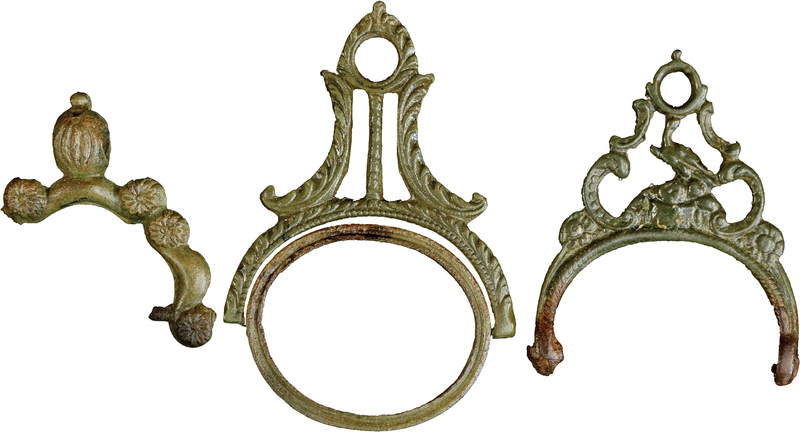 Given their 18th century date, these objects might have held the seal matrix of John Drayton or his son Charles. Hopefully, other important and complementing artifacts will be recovered through continued archaeological research.